Since doing Race to the Kings, and I thought this might happen, I’ve struggled with the motivation to go out and go running as I have no big races scheduled that will scare me into going running! That and a bout of tonsilitis (once I actually decided to rest up to let it pass) and increased work meant I was spending a lot of time on the sofa with a beer in hand! This event came up on Facebook through Fit Pro Rob. 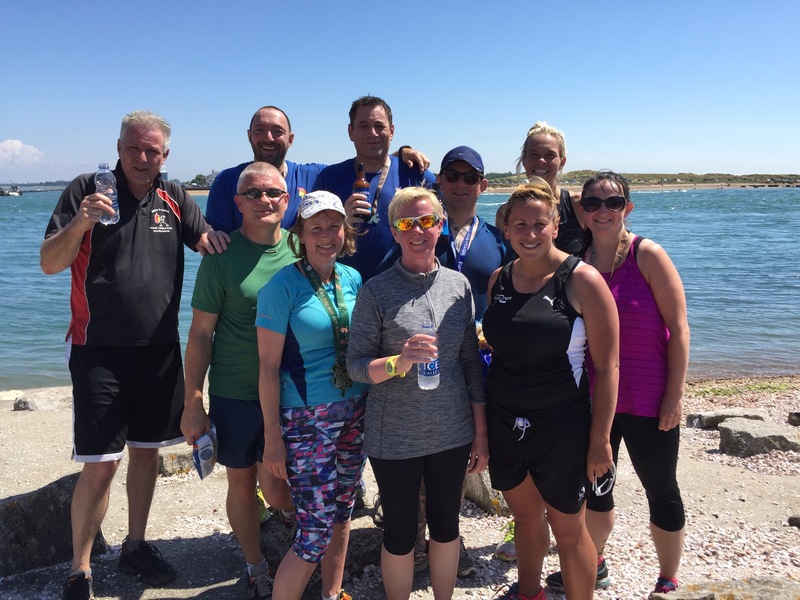 Rob is based in Pompey and runs loads of running events such as the Coastal 50k I did earlier in the year and the St Patricks 5k I also did, alongside loads of others. His new thing, to try and get people to see a different parts of Portsmouth. 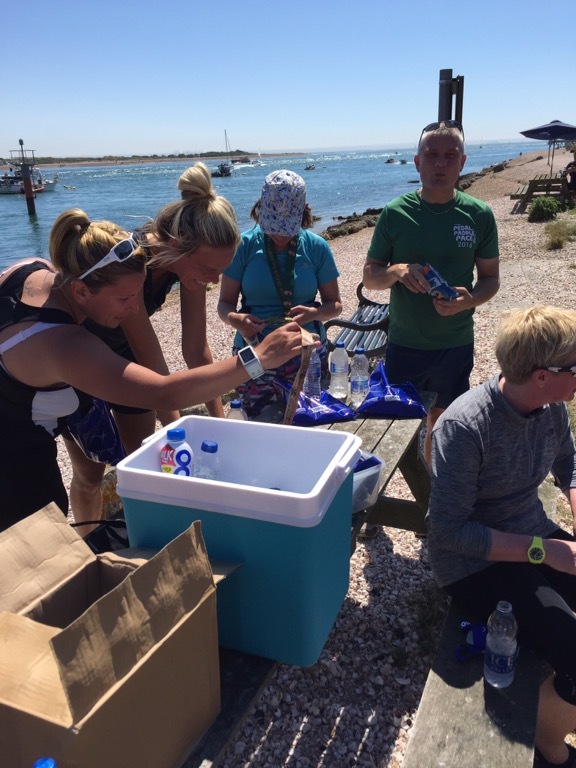 Is to organise at weekends a 2 mile canoe from the RNLI stations to the water sports centre and then a 6k run back to where you left from, followed by a beer and a leftover medal from races earlier in the year for a tenner! Unbelievable value when it would cost more to hire the canoes alone. Rammers and I decided to wander down there to take part. It was a nice low key get together, everyone was very friendly and we jumped in the boats to paddle down to the water sports centre. I LOVED it as I used to do loads and loads of canoeing when I was younger but for a number of reasons haven’t been back in one since I was 18/19. The feeling of being on the water came back and I was in my own world paddling away. Great fun and a real sense of freedom. We also saw some seals sunbathing, which was nice! Parked up and left the canoes by the water sports centre and then ran back along the shoreline. I’m not sure we took the most direct route, nor did we need to run round a housing estate but… We got back to the RNLI station feeling pretty damn pleased with ourselves! As promised by Rob, we received a medal (I took the same as the one I’d got earlier in the year which doubled up a bottle opener), a goodie bag of stuff, some flapjacks and a beer (see why I took the bottle opener medal now!) and we sat and just chatted whilst drinking our beer. A great local event/race and if you’re at all interested please follow Rob Piggot on Facebook as he just posts on his page when he’s able to run the sessions. I’m booked in for next weekend already!